This had not been confirmed, or really even hinted at by anyone at Disney or Lucasfilm yet, but it makes a ton of sense. The game is set to air January 8 on ESPN. For one, Disney owns ESPN and Lucasfilm, so it makes sense for those reasons. It's not at all uncommon for big movies, especially Disney movies, such as Marvel and Star Wars related projects, to use major sporting events to debut trailers. Plus, the timing seems rather perfect, all things considered. Ideally, given that Solo: A Star Wars Story is a big-budget movie that was only made bigger with Ron Howard's very expensive reshoots after Phil Lord and Chris Miller were fired, Lucasfilm would have already been marketing this movie. Unfortunately, there hasn't even been any official stills from the movie released online, save for the behind-the-scenes stuff Howard shared online. Though, with Star Wars: The Last Jedi firmly through the first bit of its box office run the and the PR train having done what it needed to do, Disney and Lucasfilm can turn their attention to the Han Solo spinoff. It's also possible, as has been reported, but also refuted by conflicting reports, that Disney is fully prepared for the Han Solo movie to bomb, relatively speaking. There's no telling how good the movie is at this point, as we've seen almost nothing official, but it's easy to imagine this thing won't be great, given the circumstances. 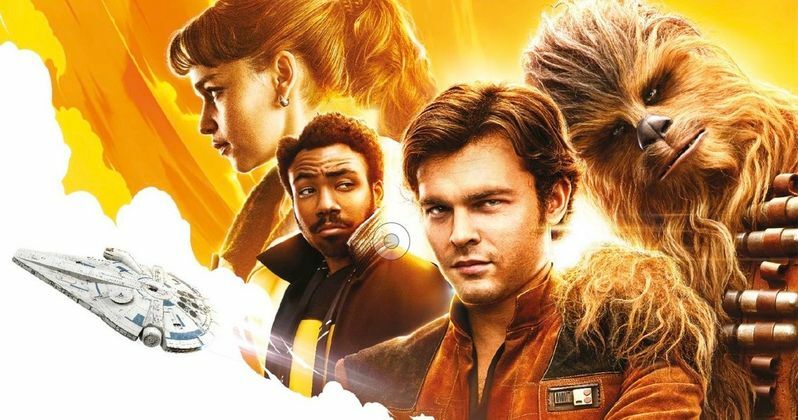 A Star Wars movie is guaranteed a certain level of success, given that it's a Star Wars movie, but instead of pouring millions and millions of dollars into a massive campaign for this thing, the studio may be doing something a bit more modest this time around and will just cut their losses, or at least expect minimal profits, from Solo: A Star Wars Story. It's going to be very interesting to see this first trailer and to see just how much Disney and Lucasfilm are going to show us. Not to mention seeing Alden Ehrenreich as Han Solo in action. Can he really capture that Harrison Ford magic? If we are indeed going to see the first trailer on January 8, as speculated by the folks at Comicbook.com, that means we're probably going to see some official stills, a poster and a trailer teaser next week. So you'd do good to keep an eye on Ron Howard's Twitter, as he's been very active since taking over the movie.